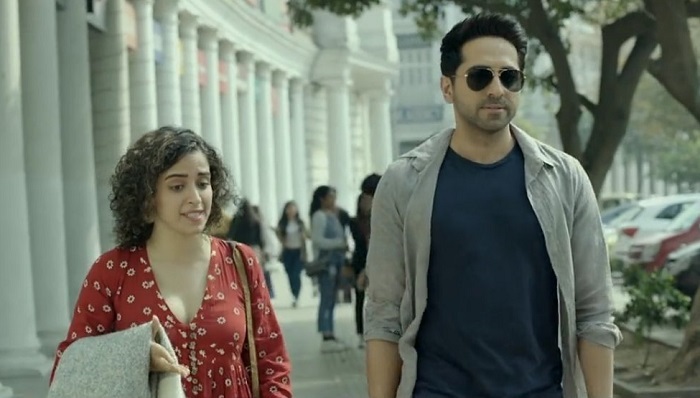 Badhaai Ho may create history at box office as film has started with a bang in the fifth week. Film has shown outstanding hold on 5th Friday. Film hardly registered any drop from 5th Thursday. Badhaai Ho collected an approx 1 crore nett on day 30. Film is bound to see major growth on 5th Saturday and further jump on 5th Sunday. There may be a case that Badhaai 5th weekend business will be more than Thugs of Hindostan 2nd weekend. Badhaai Ho should collect 4.5-5 crore nett in the fifth weekend with good to very good trending. If film shows excellent trending then it may even go beyond. Film will go close to 130 crore nett mark by the end of this week. By the release time of 2.0, film may even close on 135 crore nett mark. Fri -> 1 crore nett. Total -> 121.35 crore nett (approx). So Badhaai Ho collects 1cr on day 30, and TOH 1.3cr on 9th day. Amazing. Well done Badhaai Ho. Good film.